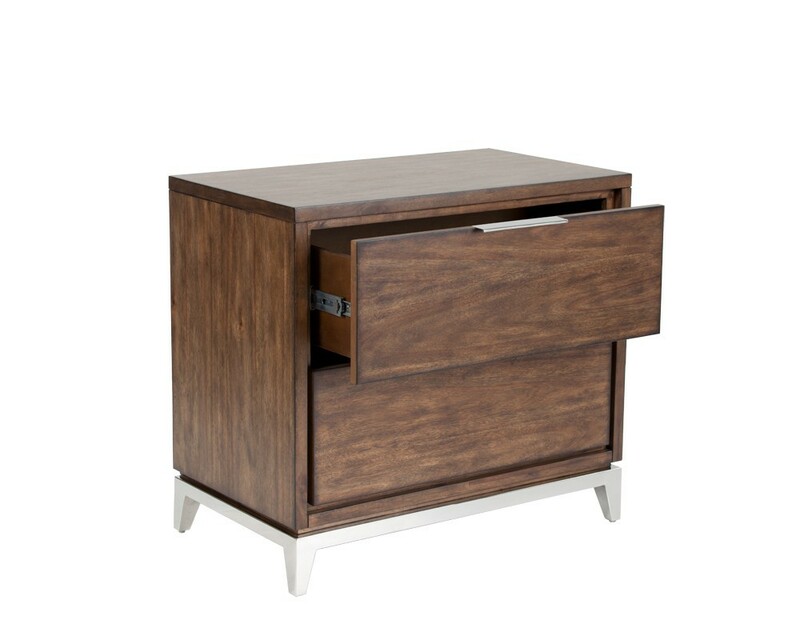 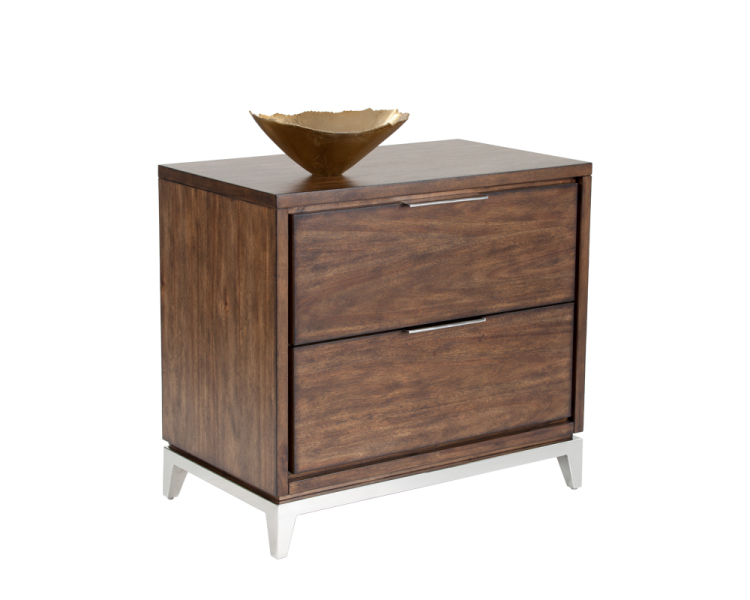 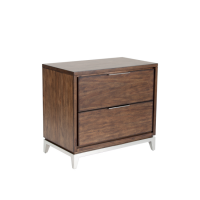 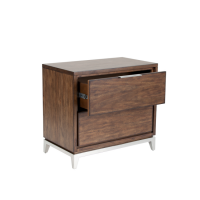 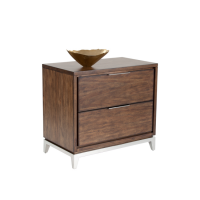 Add character and warmth to bedroom spaces with this nightstand in a smoked brown nish. Features two deep drawers. Stainless steel handles and base add a touch of modern to this well-designed piece.